Paul Keens-Douglas is one of the most eloquent and best-known raconteurs and social commentators in the English-speaking Caribbean. Born in Trinidad and Tobago, he spent his early childhood in Grenada where he attended Wesley Hall Methodist School and Presentation Boys College. He holds diplomas in Commercial Broadcasting and Radio/TV Production from Announcer Training Studios and RCA Institutes of New York, a B.A (Honors) Degree in Sociology from Sir George Williams University (Concordia), Montreal, Canada, has done two years post-graduate work at the University of the West Indies, Mona, Jamaica and has a wide and varied background in Theatre and the Creative Arts. His work profile includes Barclays Bank Grenada, Rediffusion Network, Radio Trinidad, McCann-Erickson (Trinidad) Limited and Northern Electric Company Limited (Montreal). A self-published author, he has to his credit nine volumes of work, fifteen albums, three videos, sixteen CDs and two DVDs. Wholesome and family oriented, his work has a wide appeal that covers all classes and age groups and has given the world characters such as Tanti at De Oval, Vibert, Sugar George, Bobots, Slim & Tall-Boy, Tingalae and others. His stories have been featured in many anthologies and well-known international publications and have been translated into French, German and Japanese. 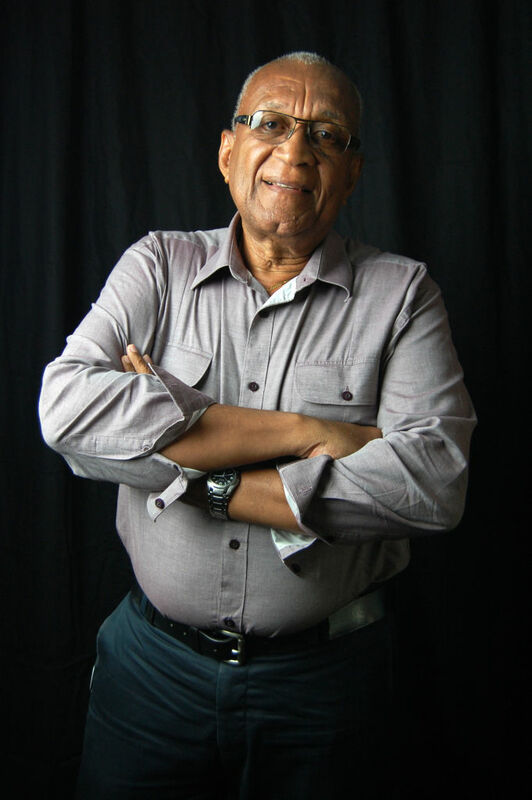 A pioneer in the development of the oral traditions and the use of the vernacular as a literary form, he produces the annual “Tim Tim Show” and “Carnival Talk Tent” which he started in 1983, and makes regular tours of the Caribbean territories and metropolitan countries. His awards include the Humming Bird Silver – Culture, Zora Neale Hurston – Folklore, The Pan-African Community Award, The President’s Award, Cacique Award –Drama, First Citizens Maestro Extraordinaire, Rotary International Citation, University Of the Virgin Islands Community Service, Queen’s Hall Award, Paul Harris Fellow-Rotary and New York City Citation. His company Keensdee Productions Limited focuses on management and staff training, with an emphasis on inter-personal and cross-cultural communication.